NAAWAN, Misamis Oriental (MindaNews/08 January) — An external intervention aimed to improve a state of affair, particularly one coming from the government, should be evaluated even at planning stage on how it would impact on the target population and society at large. At first glance, the abolition of tuition fees in state universities and colleges (SUCs) appears truly a benevolent, pro-poor policy of the government. But looks can be deceptive. Come to think of it, would free tuition really make a dent on the high cost of college education? Tuition is only one of the expenses to pay upon one’s admission to college. There are other fees the sum of which could be much bigger than the tuition. These fees are known as miscellaneous to include library, athletic, medical/dental, Internet, laboratory, publication fees and student organization fees on top of the contributions for course-prescribed educational tours and projects. In fact school fees constitute only a small percentage of the cost of college education. The killing is in the board and accommodation, clothing/uniform, transportation and communication and other personal allowances of the student. Thus the free tuition student privilege will not benefit the students from poor families but only the students whose families can afford the many other expenses in sending a child to college. Suffice it to say that free tuition privilege does not equate to free college education. The jubilation in some quarters over this pro-poor education policy is therefore hollow and empty. An honest-to-goodness government intervention to help the poor acquire college education should not simply focus on lightening the financial burden of poor parents but should be addressed directly to the educational needs of and consider the motivation and capacity of poor but deserving students. These are the students who from the grades to high school had stood out from the rest of the flock because of their dedication to studies and their perseverance to maintain high scholastic standing notwithstanding the dragging and depressing burden of their poor family background. These highly motivated students ought to get the untrammeled support of the government and other sectors of society to succeed in their chosen endeavors. The patronage scholarship program (matriculation and living allowances) in recent past catered whimsically to the political constituents of senators and congressmen from out of their PDAP shares was misplaced. It was based purely on political consideration and nary on the qualifications or capacity of the grantees to pursue college education. At the end, it was wasteful and meaningless. Meanwhile, it is common knowledge that many students are not prepared or deserving of college education. In fact a lot of children hate to go to school or college for that purpose. Apparently a good number of those who are found in college are pushed there by their parents because putting them there is a natural thing to do; it is a parental responsibility. Moreover, many perceive college education, rightly or wrongly, as a way out from poverty. It escapes from parents and educational planners that not everybody is inclined to engage in cerebral academic undertakings but have other preferences in the search for knowledge or future meaningful livelihood tools. Developing and preparing the options to suit and respond to the needs, inclination and interest of knowledge-seekers is a serious concern that parents and education people need to give a hard look in building a rational and pragmatic teaching-learning environment for kids. Along this, the inclinations, aptitudes or skill preferences of school children should be systematically observed and monitored from grade school to high school, in order to develop curricula or programs that match their needs rather than just to push them to college after high school. On free college education to poor and deserving students, a sustainable intervention model that will outlive the echo of political hypes is wanting. Other than the existing DOST science-oriented scholarship program from high school to college, it may be worth looking, too, at the Mindanao State University Scholarship Program in the early 1960s and 1970s. In a nutshell, upon its establishment in 1961 in the heart of Morolandia – Marawi City, Lanao del Sur, the University offered scholarships to the top 5 percent of all high school graduating students in Mindanao, the Sulu Archipelago and Palawan via a competitive admission and scholarship examination. The top 50 percent of the successful examinees (full scholars) enjoyed the privileges of free matriculations and other school fees, books, board and lodging, transportation allowance from home to the campus and back. The lower 50 percent of the successful examinees (partial scholars) enjoyed the same privileges minus the board and lodging. Anybody from this latter group, may, however enjoy the full scholarship privileges if he is able to get the prescribed grade point average (1.5) by the end of a semester. To enjoy the privileges up to the completion of the chosen course in the university the full and partial scholars must at least secure a grade point average of 2.5 and 2.75, respectively, every semester. 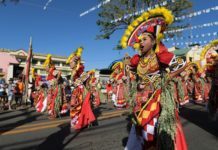 The students from various ethnic, cultural and linguistic origins in Mindanao, the Sulu Archipelago and Palawan were housed together initially in makeshift dormitories with Spartan facilities and ate their meal together in one dining place. The MSU model was not simply an academic intervention to provide the poor with high quality college education but at the same time served as a social laboratory in cultural integration. The young individuals from different cultural and religious climes interacted freely despite, in some points, distinct irreconcilable social and religious upbringings, and somehow learned from each other and developed along the way behavioral skills, attitudes and traits on patience, tolerance and respect for one another. Provided adequately with the basic necessities of survival, the scholars’ primary responsibility then was to study hard and to remain healthy and resilient in adapting to the new social and physical environment for them to endure and enjoy the rigors of high quality university education. The entire environment also encouraged everyone to excel academically with the rest of the cream of the crop. Needles to say, the Spartan-like rigorous training in the cold rolling cogonal hills of Marawi City paid out dividends to society in the turn outs of highly competent, reliable and dedicated professionals, entrepreneurs and industry and community leaders. 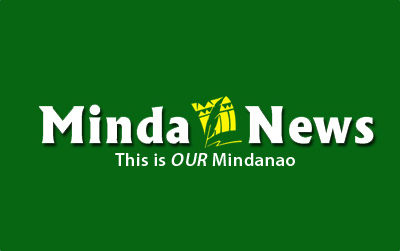 (MindaViews is the opinion section of MindaNews. William R. Adan is a retired professor and former chancellor of the Mindanao State University Naawan campus in Misamis Oriental).